Selamat Balik! We return with more information on the ongoing transformation of your world. This present situation is playing out as this Gregorian year of 2013 AD comes to a close. The dark cabal is flustered as it is forced to concede area after area of its former unfettered areas of power. This dynamic process is ongoing and is to be concluded shortly. The various elements of the Light have completed a number of vital agreements that truly “seal the deal.” The dark cabal realizes this and understands that its long reign in this realm is coming to an end. Not only are they to taste the rigor of a broad legal confinement, but they will also be put in a position to watch much of their wealth and former special privileges fade away. This is just the beginning of what is to happen. The new governance, as we stated previously, will transform your current non-disclosure of our presence into a formal declaration of recognition. A new gold-based currency and new global banking laws will lead to the breakup of most super-large banking institutions. The near future for this reality is indeed bright! All the important warrants needed to arrest and/or confine the major members of the dark cabal are in order; what is left is to execute these in the proper sequence. In addition, the various operations to bring out the global currency reset are concluding, as are the numerous resolutions needed to return your world to a new gold standard. These are to be interim steps as a worldwide prosperity is put into place. Money is an instrument toward a specific end. A time of prosperity will reorder this and transform intention into the powerful position now held by money. In short, your values are to redirect to transforming your beliefs in finite ends, and to alter them to what your Higher Self really desires. These things will mirror your true higher values and encourage the unity with others and the personal sovereignty that lies within. This next period will be a quick transition to bring you from the current morass that you live in to one that will prepare you for contact and a rise of a new consciousness. This move toward full consciousness will permit you to better understand the complex nature of the divine plan, and to graciously accept the sacred decrees of the Creator. As you live in a new sacred realm, you begin to accept the responsibilities that encompass your divine service. We are deeply involved with the special edicts that govern this galaxy and physicality. Our galactic society models are founded upon realities that best reflect each of our many star nations. We see ourselves as colors of a vast multitudinous rainbow. Each of us has those interlocking elements to produce this most gracious whole. Our galaxy, in turn, likewise interlocks with others to forge a grand whole that permits the sacred to manifest among us. It is this manifestation of Spirit that both drives and excites us. 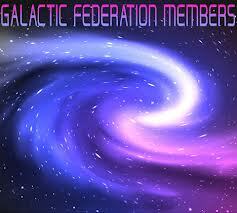 This Galactic Federation exists to serve Heaven and to unfold the grand divine plan throughout physicality. This operation is one that you are to embrace when you have taken new duties as fully conscious Beings of Light! The amount of integration and transformation that Gaia and her sister worlds are to undertake is quite astounding. The Sun also has numerous duties that she needs to perform to bring this reality into its full potential. Every day, we monitor this solar system and aid her in the great feat of transformation. Think of it! You are witnessing not only a momentous set of alterations on this world but also a series of unique changes happening to each planet. When these numerous changes are finished, you are to be a part of a system that contains five habitable water worlds teeming with diverse ecosystems that extend both to regions in outer and inner realms. Your responsibilities as stewards of these many worlds are indeed immense. These efforts are to be coordinated by your governing councils with the advice of your Ascended Masters. Each of you is to possess talents that will enable all of this to happen easily and naturally. This divine flow comes from the divine plan and the qualities divinely put in you! Hosanna! We are your Ascended Masters! We come here with some good news to relay to you. At present, our associates are working diligently to prepare the final elements for rolling out your new reality. The first of these includes a global currency reset mixed in with new stricter banking regulations and the beginnings of a worldwide “gold-backed” financial system. This reset will eventually force the re-chartering of this globe’s major banks. It will also limit how currency is exchanged for various large marketing programs that exist between banks in many European and American “money markets.” The point made here is simply that a new system will replace the present one and allow for prosperity to flow to all. This will end the dark’s many financial machinations that kept most of you poor and hence easily manipulated. Money will quickly fall by the wayside as a new consciousness rises everywhere. These blessed changes will transform how you live your daily life. In addition, you will see the rise of new governance and the emergence of a slew of now suppressed technologies. This, along with a coming first contact, will permit us to start a whole series of divine consciousness lessons. These lessons will allow you to look carefully at what constitutes this reality and what full consciousness truly implies. Much needs to be explained and much needs to be learned by you. Each lesson in this special syllabus will consist of examples, stories and simple exercises. We further intend to demonstrate a number of things that you will encounter when you return to full consciousness. Each of you has many past lives that you will need to examine and process. You will also require an oral manual on what will be happening to you. Heaven has methodically orchestrated the means by which this transformation is to be carried out. Our part in this sacred schedule is to teach and supervise. 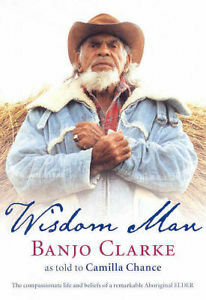 We have for millennia watched over and advised you. A more comprehensive mode will presently be required. This, we do in Joy! You are here to alter the very nature of this reality and to assist Gaia in her transition to full consciousness. Moreover, we are all to be tasked by Heaven with the fruitful transition of this solar system to its former glories. The resulting new star nation will be greatly sought after by many in this galaxy. Thus, each of you came here only after passing special spiritual tests given you by Heaven. This makes our sacred duties extremely important to the unfolding of the divine plan. We accept our responsibilities graciously and prepare for our mutual success! Hallelujah! Hallelujah!